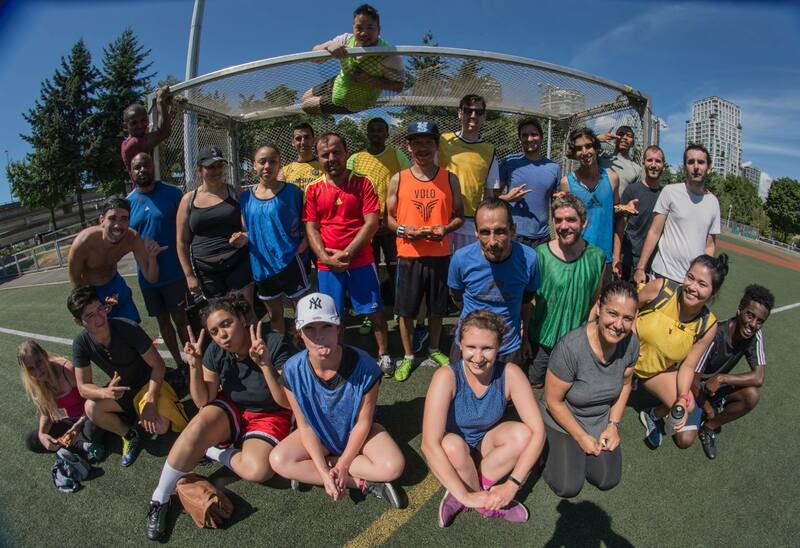 The Vancouver Street Soccer League is a volunteer-run organization which reaches out to individuals who have been homeless, are currently homeless, or are at risk of homelessness, as well as individuals who feel marginalized within their communities, or are recovering from drug and alcohol addictions. 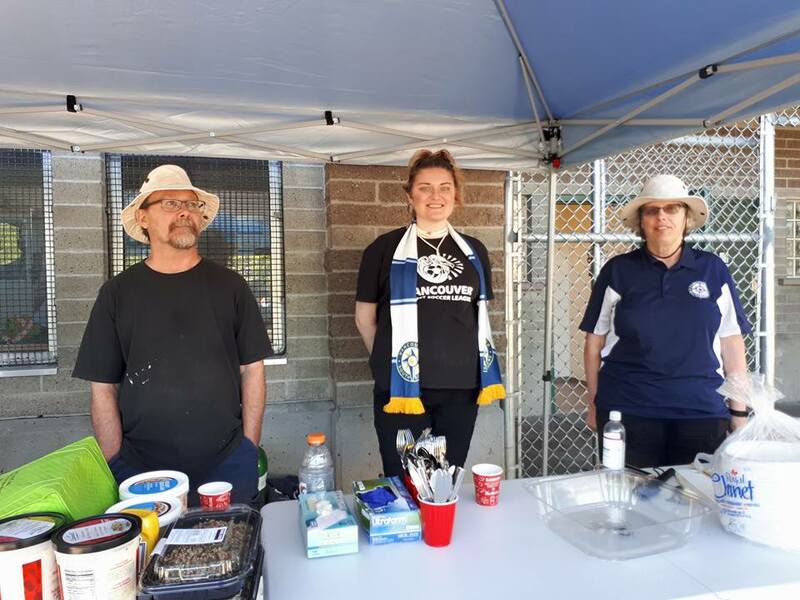 We address the issue of homelessness, marginalization, and addiction through inclusivity and soccer – believing we can enhance all of our lives through the principles of Fair Play, Community Building, Supportive Partnerships, and Health and Safety. Every year, the ‘Namgis First Nation hosts an invitation-only soccer tournament during the June Father’s Day weekend. The tournament takes place on the beautiful, rugged island of Alert Bay, which is about a 10-hour drive and boat ride from Vancouver. 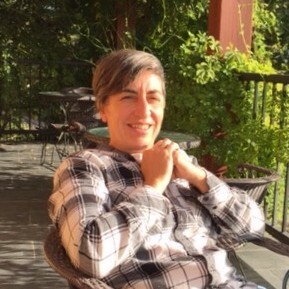 For our players who are struggling with mental illness or living in shelters, the long trip up-island, natural beauty of Alert Bay and scenic boat-rides, can be particularly refreshing and rejuvenating. For all of our players and volunteers, the camaraderie forged on the soccer field or at the camping site while dining over communal meals after a hard fought match, makes this trip a highlight of the year. Read more about last year’s highlights here and read an article in The Guardian News covering the trip here. This year, we’ve been invited to Alert Bay for June Sports with a new set of players eager to experience this amazing trip. Our plan is to send a full team and accompanying volunteers for the five day trip. We’ll need to send approximately 22 people up island for the tournament, which is not an inexpensive endeavor. In order to pay for food, fuel, gifts for elders, car rentals, camping gear, registration fees and the ferry ride there and back we’ll need to raise $10,000. Help us to send our players to June Sports by making a donation! The VSSL is proud to stand with other organizations throughout the province in signing a declaration of commitment to erase bullying in sport and foster a positive environment as a part of Via Sport’s Erase Bullying in Sport campaign.